PLEASE HELP COMPLETE THE LIST BY PROPOSING FREE GAMES. I like Shattered Pixel Dungeon. You do need Java Runtime Edition (JRE) to run it. thanks for answering. Please a game without java or browser or plugins. Not everybody wants to install java or plugins. For each game proposed, I will try to run it in xenial and update the first message to have a list of games. Radialapps ported the RPG Exit Fate to linux. That transition has not been flawless, so there's a snag here and there, but it is playable. I enjoyed it anyway. It's pretty much a self contained package. Free Orion which is like Masters of Orion - strategy game. Minetest which is like Minecraft. Arx Libertatis is a cross-platform, open source port of Arx Fatalis, a 2002 first-person role-playing game / dungeon crawler developed by Arkane Studios. The is also The Dark Mod http://www.thedarkmod.com/main/ which is a Thief inspired game on a newer engine. 32 and64bit, Linux and Windows. Won't run as root, but 'su spot' does it for me. On my 2ghz Core Duo laptop, it struggled until I got the Nvidia drivers installed (on upupBB). And here are some search results using Pkg (on Dpup Stretch 7.5). darkplaces Game engine for Quake and similar 3D first person shooter..
ioquake3-server Engine for 3D first person shooter games - server and com..
prboom-plus-game-server enhanced clone of the classic first-person shooter Doom s..
atomix-data puzzle game for building molecules out of separate atoms ..
ballz B.A.L.L.Z. - platform/puzzle game where you control a rol..
fillets-ng puzzle game about witty fish saving the world sokoban-sty..
gemdropx Gem Drop X is an interesting one-player puzzle game for X..
sgt-puzzles Simon Tathams Portable Puzzle Collection - 1-player puzzl..
Can you please also add images showing the games when you play them, so we get a better idea ? And a small description of the game. I will also do. Originally based on the XCom: Enemy Unknown classic. Same principle; you have a team going on missions, shooting aliens, turn-based action. Collect artifacts, research, manufacture. Strategic warfare. 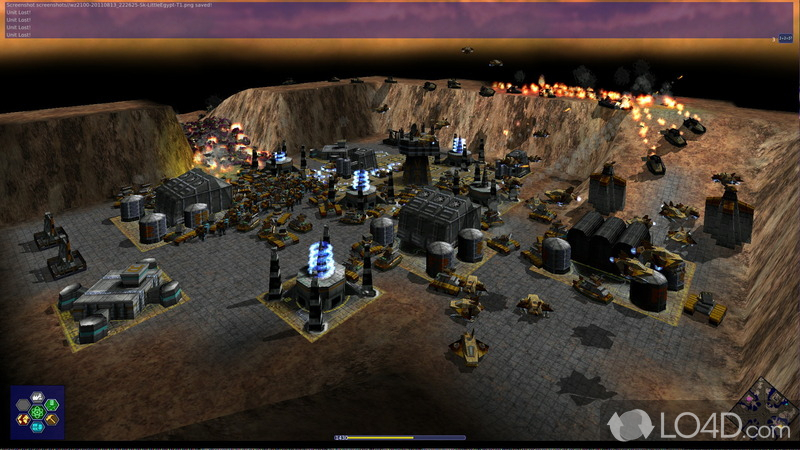 Build bases, fortifications, war machines. Thanks but these are images from their websites, not from you playing in puppy. And do they work OK in puppies ? I am currently working on a computer with a videocard with no 3D capability whatsoever, so playing these games is simply not possible for me right now. 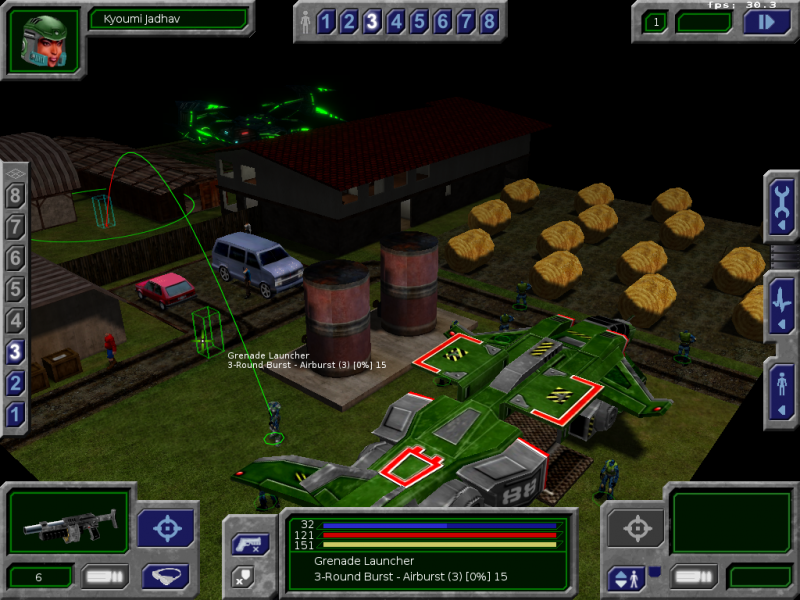 However, I have played both Warzone2100 and UFO:AI on another computer with Precise PUppy 5.7.1. In fact, I still have an sfs here of Warzone2100 if anyone's interested. So these games CAN be played on Puppy Linux. But I am not going to go through the motions of creating a ready made playable PET package or SFS for Xenial just to prove a point. You'll just have to accept that it takes a little bit of extra effort on your part to be able to play games on Puppy Linux. You may find there are certain dependencies required. That too, is something you need to accept.